Forces of WARMACHINE: Cygnar Command provides the foundation every Cygnar player needs. It features a complete listing of all current warcasters and warjacks released to date, in addition to two new warcasters, a new character warjack, and a selection of core units and solos from the Faction. Forces of WARMACHINE: Cygnar Command is an essential book for all Cygnar players. Command books are offered in two formats, and the hardcover version is highly sought after by serious collectors. 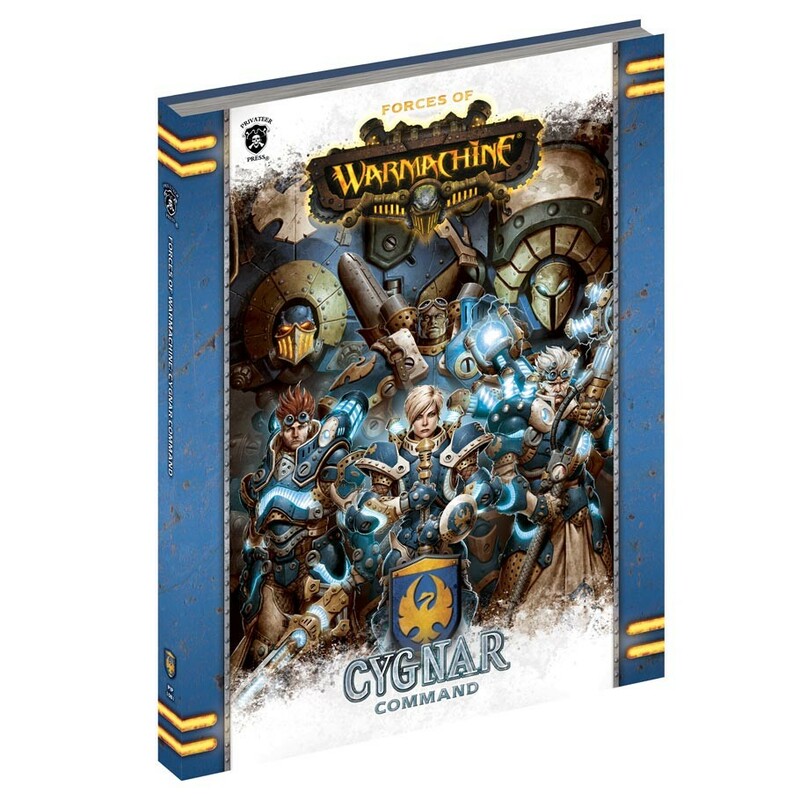 Be sure to order enough copies to meet the demand of your current community and provide additional stock for new acquisitions, since Forces of WARMACHINE: Cygnar Command is a great companion for players purchasing a Cygnar Battlegroup Box (PIP 31121).